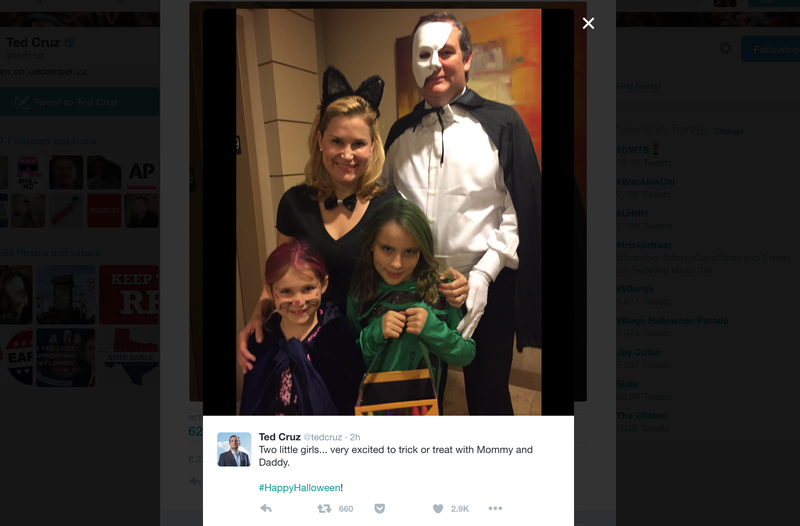 Which is to say: Two little girls ... very excited to trick or treat with Mommy and noted man with too much skin Ted Cruz. Ted, if you’ll recall, is the bane of his elder daughter’s existence. 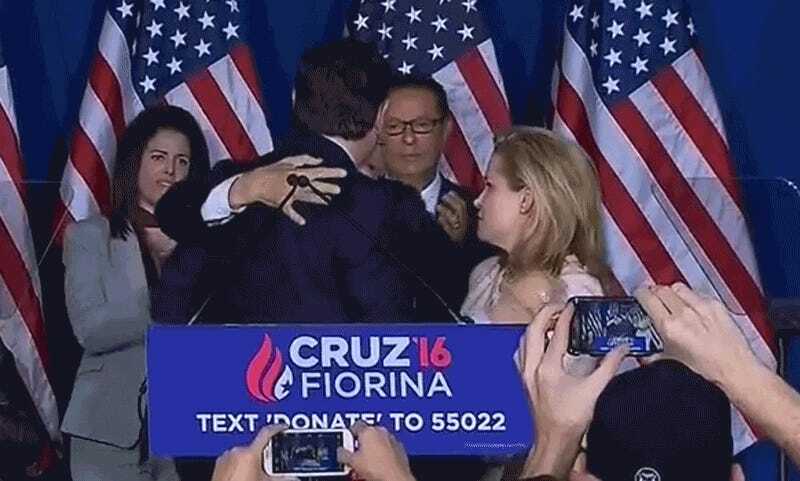 The same daughter who previously screamed “Ow” at her father’s touch, narced on him to Anderson Cooper on national television, and did this when Ted approached her for a hug. Run, Caroline. Run as fast as you can. 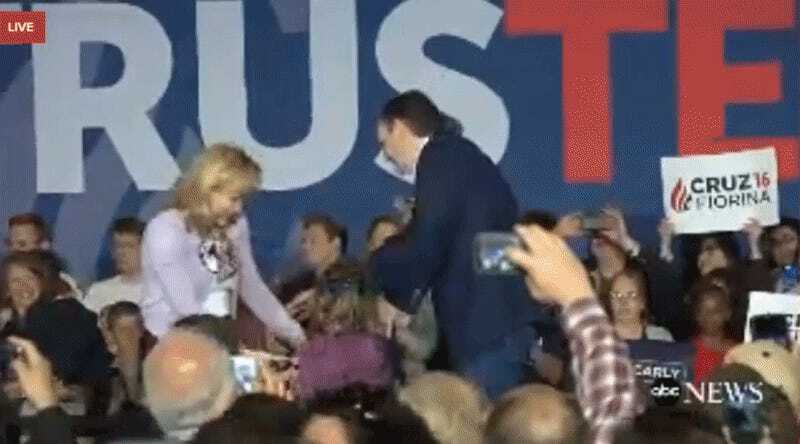 If the Cruz daughters thought their father’s failed presidential campaign would free them from the waking nightmare that is being in Ted Cruz’s vicinity, they were apparently sorely mistaken. Two little girls... very excited to trick or treat with Mommy and Daddy. Two little girls, very “excited” to trick or treat with this. Then again, it could always be worse.